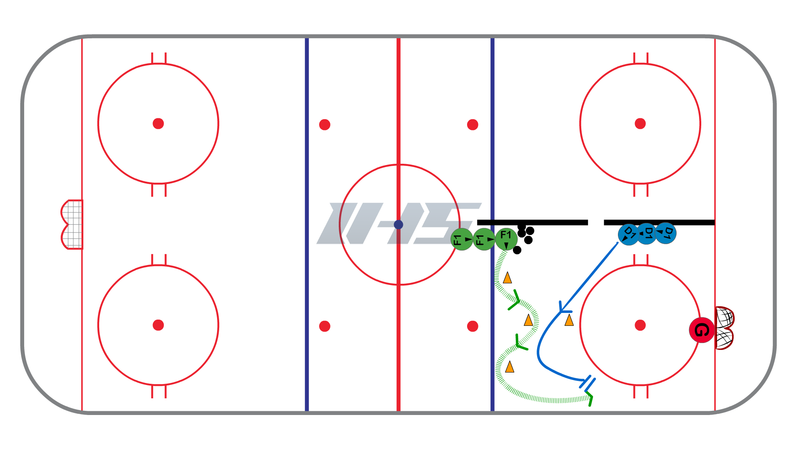 Pee Wee / U12 Station Practice #1 | Ice Hockey Systems Inc. 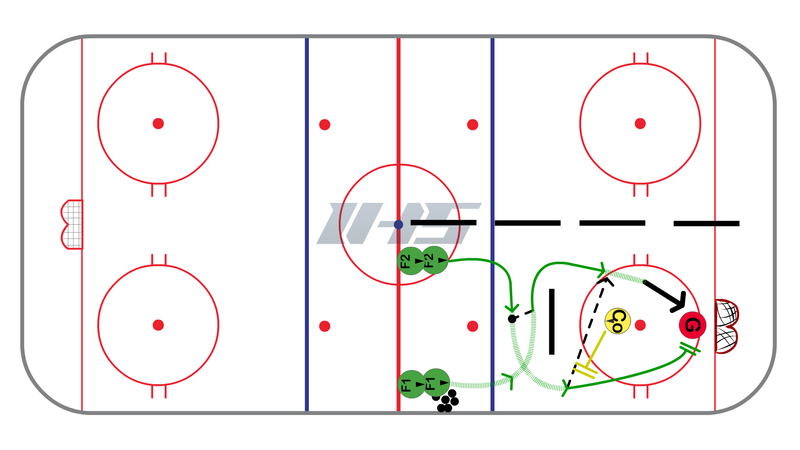 This is a station drill that only uses 1/4 of the ice surface so it is great for station based or ADM practices. It is a simple drill but teach players about how to angle is very important and this drill set them up to work how to do this. 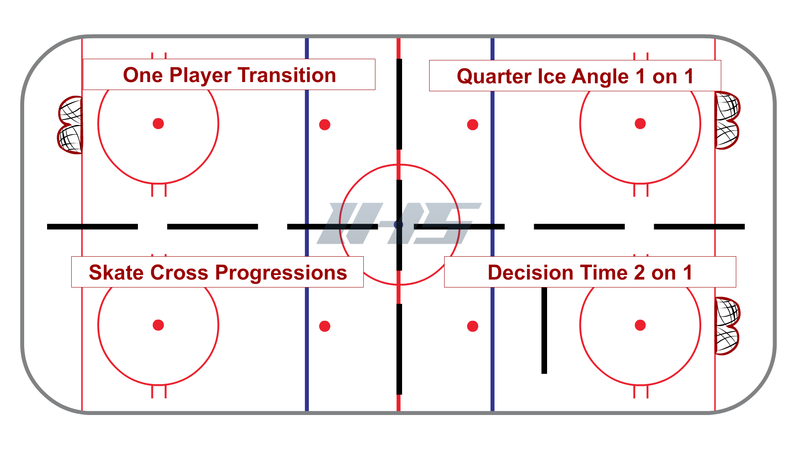 The offensive players will start with a puck and slalom throught the cones and then try to attack the net. The defensive player will go around the cone and try to time it so that they are able to angle the offensive player to the boards. 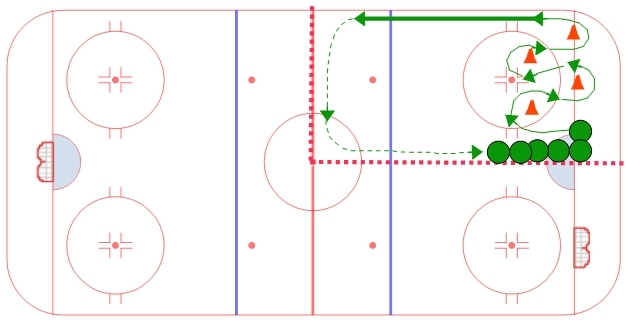 Use stick position to discourage offensive player from cutting back to middle of the ice. Try to stay even with the offensive players shoulders with slightly more speed and check the hands into the wall. This variation requires the players to be ready to make turns quicker than the previous two variations. This time as players turn around the cone they may only be able to take one full stride before turning the other direction. After the last cone they players should work on using full strides to get to top speed by the blue line.